This chainguard fits in place of an outer chainring on a double/triple, can be made to fit as well as three rings by using longer bolts and 4.6mm spacers if the crank has enough space between the arm and the outer ring. If in doubt ring for advice. 44t is the max size of the external ring the chain guard is going to substitute? 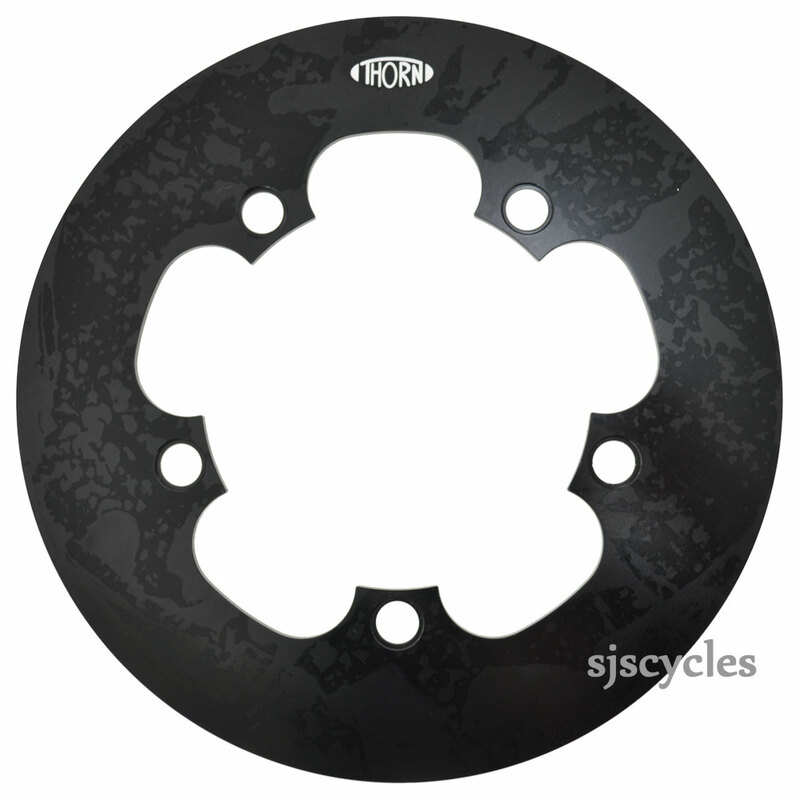 To transform a Stronglight Impact Triple in a super compact 24-40 should I buy a 24 t and 40 t ring, this chain guard and a set of 8,5 chain bolts? Yes 44t is the largest size.